What’s Your 2019 NVMe Strategy? In this live webinar join experts from Storage Switzerland and Western Digital for an interactive webinar the will help you develop an NVMe strategy that makes the most sense for your organization. 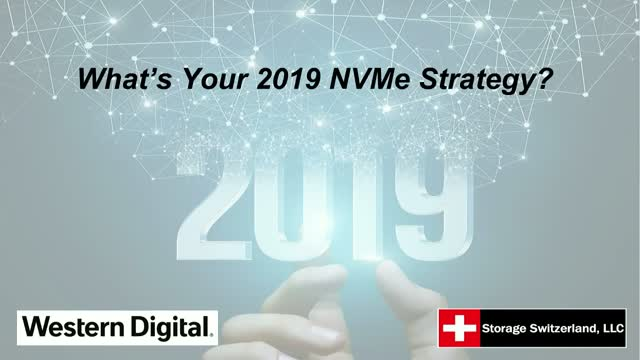 Title: What’s Your 2019 NVMe Strategy?